Because of high demand "Galactic" orders will be processed within 7 days. 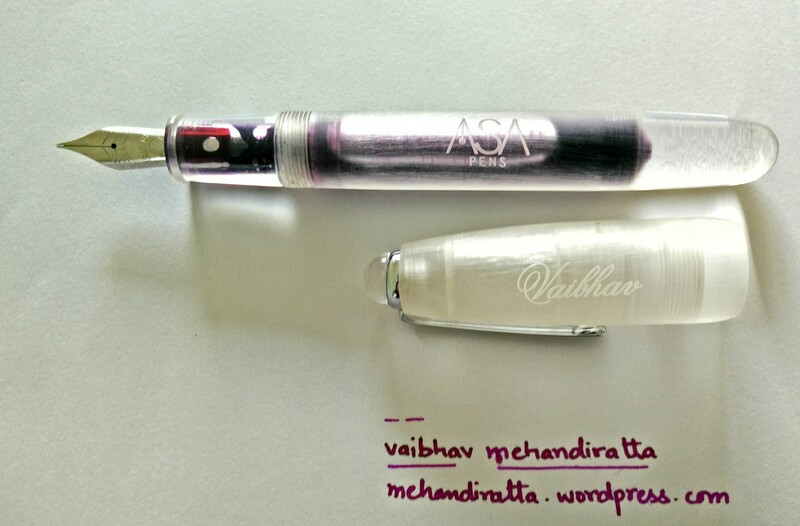 Presenting the first innovative pen of the ASA Stellar series, "The Galactic". Presenting the "Galactic", an innovative Demonstrator Pen is one of its kind. It a Jumbo pen. The speciality of the pen is the translucent finish, which is acheived by hours of handiwork with micro-mesh. 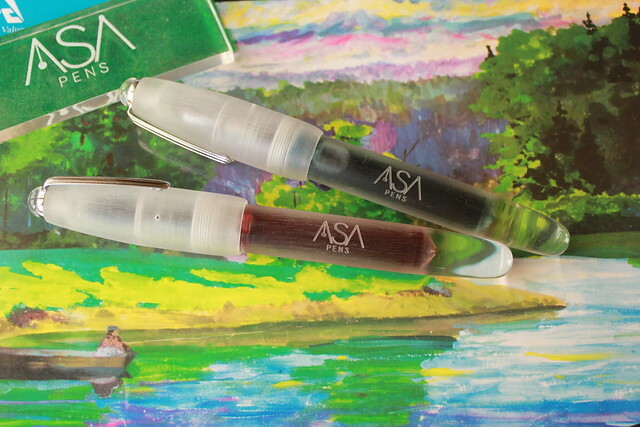 The pen boasts of a jumbo ink capacity, in line with its size. What is special about "The Galactic"? The Galactic, is a completely handmade pen (No CNC). 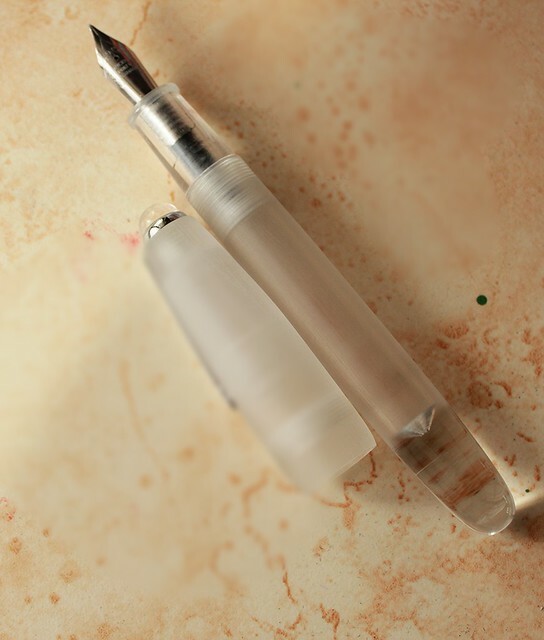 The pen is beautifully finshed to acheive a translucent appearence, Made from high quality acrylic rod. with intricate attention to every detail. Each pen is an output of several hours of handiwork in shaping and finishing. The pen has a classic look with the right balance. Being an eyedropper the pen gives the ease of hours of writing. Why you should buy "The Galactic"? 1) The Galactic is an unique pen Its a brand new chapter in demonstrator pens segment. 3) Filled with ink the colours its sure to charm you with the different effects it will reflect. 4) The Galactic will surely be the most beautiful pen in your collection. Polished Steel, F stock nib, Upgrade option for German Made F or M or B nib of JoWo make.